Are you looking for a DJ for your wedding but don’t know where to start? Are you concerned about booking a DJ that doesn’t listen to you? Or a DJ that turns up with poor quality equipment? Or a DJ that turns up and hasn’t brought any of your requests with them? In short, are you worried about booking someone that just isn’t very good? 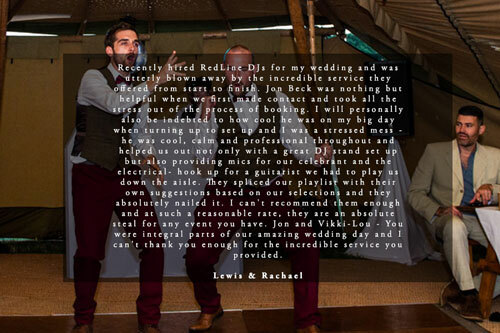 At RedLine it is our strongly held belief that your wedding DJ is one of the most important suppliers at your wedding. They’re quite often responsible for speeches and ceremony music as well as of one of the big ticket moments on the day; the first dance! They’re also the people tasked with the all-important job of getting people onto the dancefloor and keeping them there all night long. 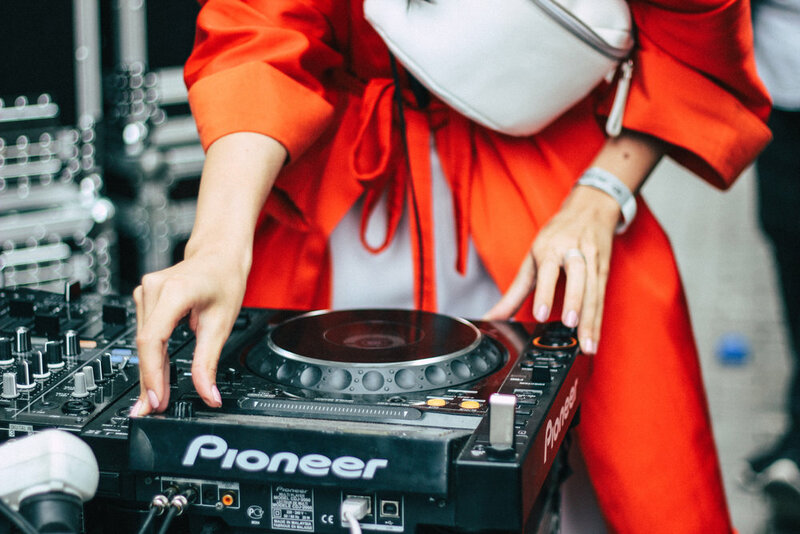 To ensure that we put together perfect celebrations for our clients we only use London’s very best DJs - personally handpicked by us for inclusion on our roster with each DJ offering something slightly different to the next. We also use professional grade equipment and setups and are able to offer personalised lighting and mood package options if you’re looking for that extra wow factor to really set your wedding day apart. 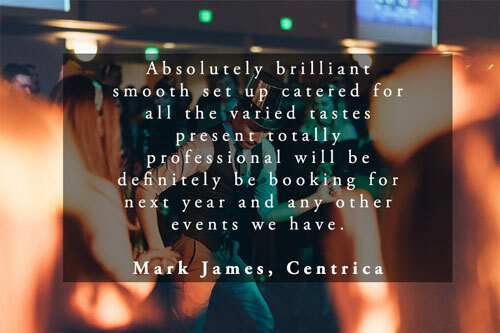 Each of our wedding day packages comes complete with intelligent “moving head” lighting fixtures, a tasteful DJ booth and of course a highly skilled, NADJ registered DJ as standard. 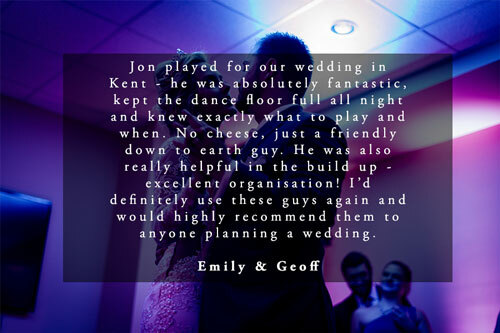 But don’t just take our word for it, have a quick browse of the fantastic feedback we’ve had from our previous couples below – we are proud to have been involved in every one of these celebrations and display each of our 5 Star reviews with a huge amount of pride. All of the DJs on our roster are handpicked and dedicated to creating the perfect wedding for you and your partner. If you’d like a wedding filled with 00s indie classics then that’s no problem! If you’d like a night full of your favourite Motown hits then we’ve got you covered! Even if you’d like something very left field (we once did an wedding themed entirely on ‘space’(!) we promise to deliver exactly on your brief. Professionalism is at the heart of everything we do and we pride ourselves on maintaining the highest standards at all times. We will organise all aspects of thein advance of the day, turn up with plenty of time to spare, dress appropriately and generally ensure that you don’t have to lift a finger or worry about a thing. In short, we’ve got you covered.